Click here for event details, times, locations! Click here for event rules, and explanation of points! The Huntsman Olympics are upon us again! We are thrilled to have the Huntsman Olympics return for the third year in a row! Make a team, and sign up below! Let’s raise a boat load for cancer everybody! 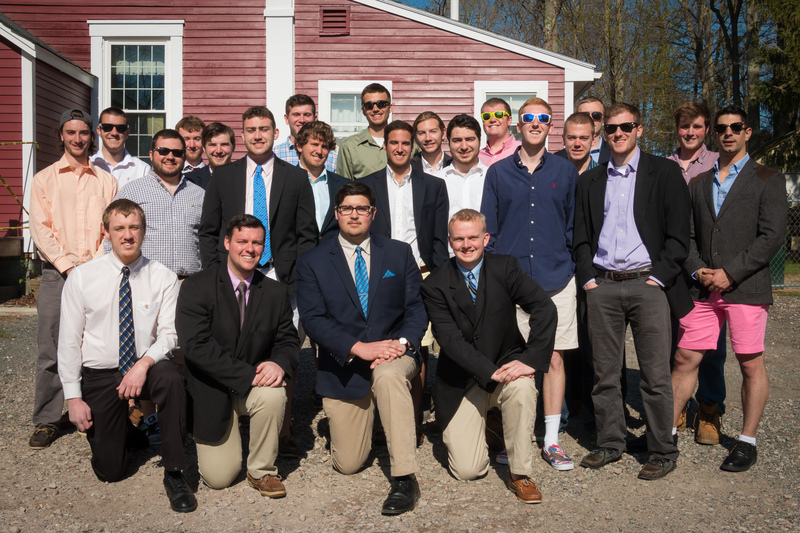 Since our inception, Sigma Chis have endeavored to give back to our world. 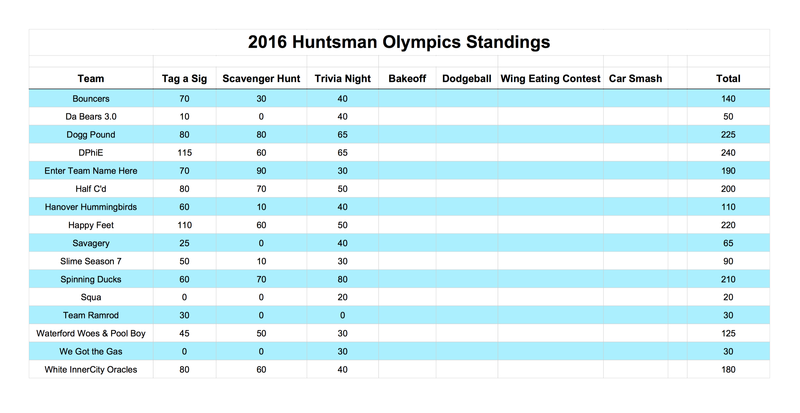 The Huntsman Olympics is Theta Zeta’s unique take on this Fraternal tradition. Through a week long series of fundraising events driven by the spirit of philanthropy and excited with a little friendly competition, registered teams who have donated to our cause compete to take home the glory of Olympic Gold. 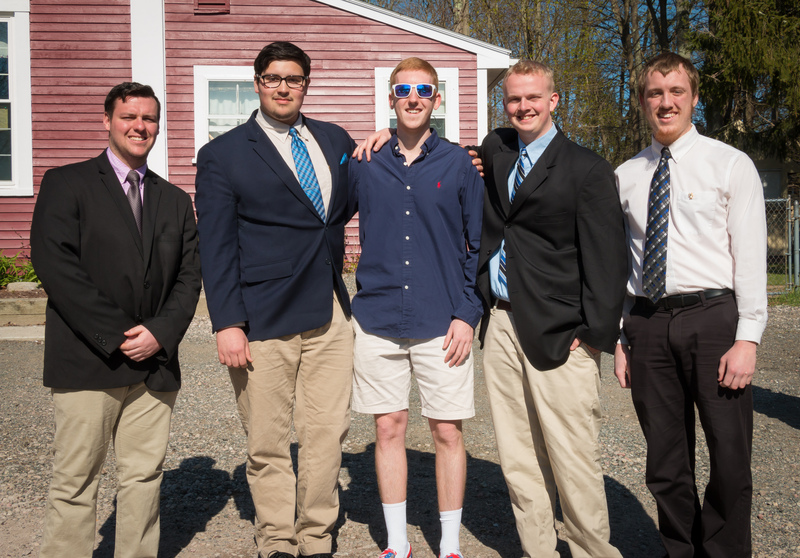 After an incredible I on Friday, April 22, Theta Zeta welcomed our four newest brothers to their first Chapter meeting today, Sunday, April 24. 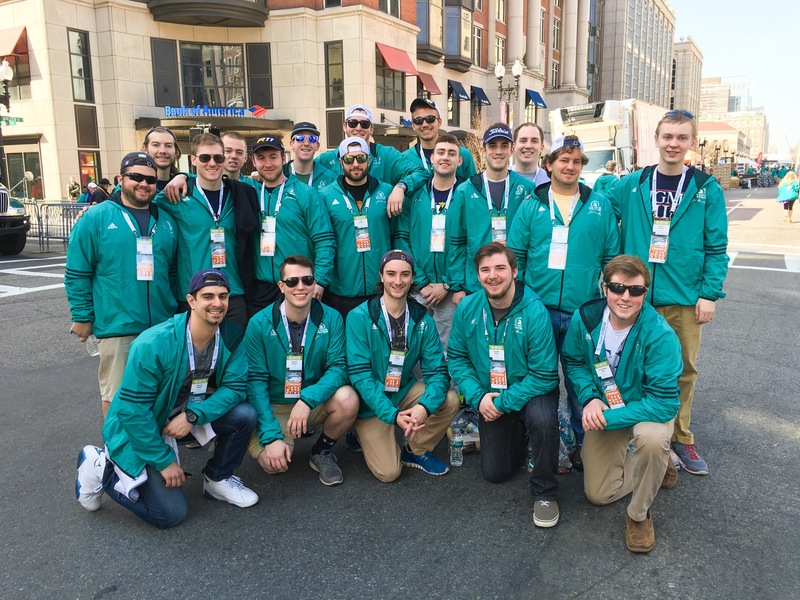 Theta Zeta is working the finish line of the 120th Boston Marathon today! With over 30,000 runners from 80 countries, it’s sure to be a busy day! Boston Strong! Help Us Support Relay for Life! Click here to support our relay team! Theta Zeta will be participating in BSU’s Relay for Life this Friday, April 8 from 7 PM to 7 AM the following morning. Although the Huntsman Cancer Institute is Sigma Chi’s primary philanthropy, we brothers at Theta Zeta couldn’t justify sitting idly by and letting an equally worthy cause go without support. As of Tuesday evening, we have raised $1,431 for the American Cancer Society. Teams are encouraged to fundraise at the relay by running a booth with a unique, enticing good or service in exchange for a small donation. Theta Zeta has decided to run a Guitar Hero booth, where players will compete for the high score to win a Dunkin’ Donuts gift card. Only $1 per song attempt! We hope to see you this Friday! IH.